What is leadership, and why Entrepreneurial Leadership? A simple leadership definition is the art of motivating people to act towards achieving a vision or goal through impacting and inspiring others. Ideas are communicated in a manner that engages listeners and motivates them to act, as the leader inspires and directs actions based on his/her combined personality and leadership skills. Youth need to learn how to personally lead themselves before leading others. 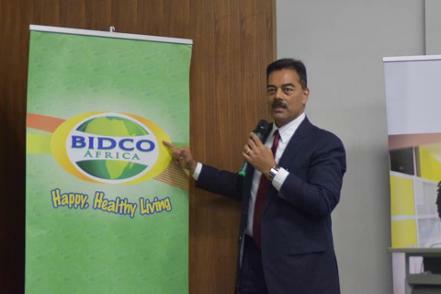 One of Africa's greatest entrepreneurs is none other than Dr. Vimal Shah, who with his family, have created the highly successful BIDCO brand - celebrated for their effective Business Leadership. 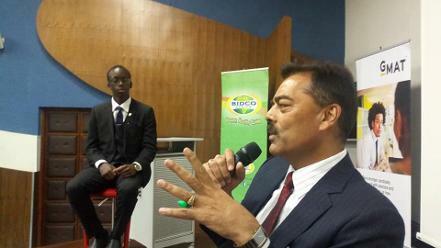 Demonstrated in BIDCO Africa's organisational performance and results; from higher management, stakeholder satisfaction and bottom line profit with turnovers of USD 500 million per year. Our target as AKAD is to help prepare the next 100 Dr. Vimal Shah's from our youth in the next 10 years, as seen in the testimonial below. It's with great humility that I share some good news with the AKAD family. I have been granted an opportunity at a full scholarship to study for an MSc in Actuarial Management at the Cass Business School in London (arguably the best Actuarial School in the world). 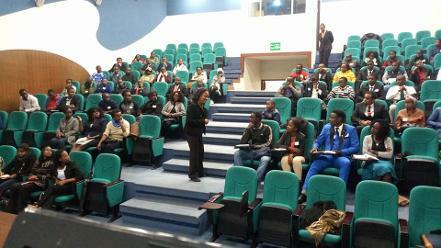 The scholarship is provided by the Insurance Regulatory Authority, usually awarded to 5 people each year. I'd like to thank Daktari and other mentors who have pushed and encouraged me to rise to my potential and aspire to achieve the highest of standards. Following the overwhelming challenges youth face in schools, from fires, bullying, drug abuse and of late sexual molestation (as highlighted in the media, case of Moi Nairobi Girls School). 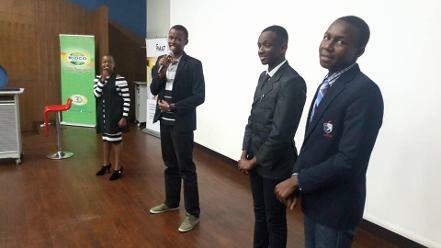 We as mentors insist it is important our youth appreciate that these challenges CAN BE MITIGATED. No one needs to suffer alone, especially from depression. We understand the pressures youth go through. We know the pressures on youth are greater today than they were on us old folk in the past. 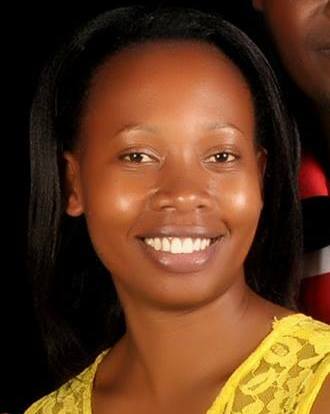 Come meet and engage with our Pschologist Mentor, Nyawira Thumi and see how to succeed even in these pressing times. 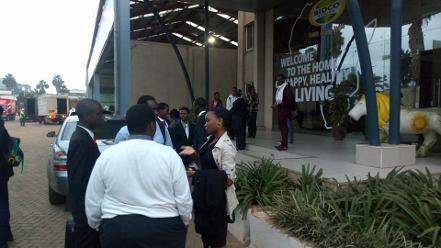 Transport logistics were by meeting in CBD Nairobi: Hilton Hotel side of Kencom Bus Stop, BATA shop a 6:30am - 6:45am. Once a group of 13 participants are together, a designated Lenana School youth mentee leader led to a 14 seater matatu, driving directly to BIDCO, Thika - drive time estimated as one hour. Cost is 100/- per passenger paid on seating. 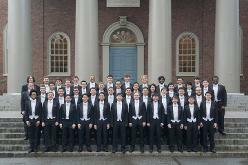 Harvard Glee Club 2018 in front of Memorial Church on Harvard’s campus. Ernest is the furthest to the right in the back row. 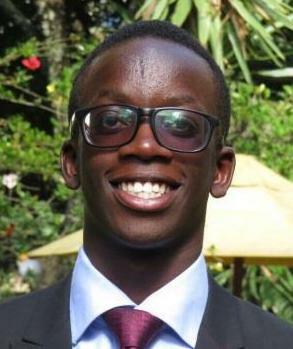 Ernest Ochieng’ Omondi is a 22-year-old young man from Nairobi, who has spent the past 2 years studying Computer Science at Harvard University. He recently accepted an offer to spend his summer holiday working as a paid intern at Facebook Inc. Headquarters in Menlo Park, California where he will be working on Apple iOS application development. He is a member of the world renown Harvard Glee Club, the oldest college chorus in America, and has travelled with them to East Asia performing in concert halls in Japan, South Korea and Taiwan. He was recently nominated and chosen as a finalist for the Freshman Dean’s Award, which is awarded to the first-year student who most adheres to the spirit of the freshman deans, one who is devoted to Harvard and actively works to make the first-year experience enriching and rewarding for all classmates. 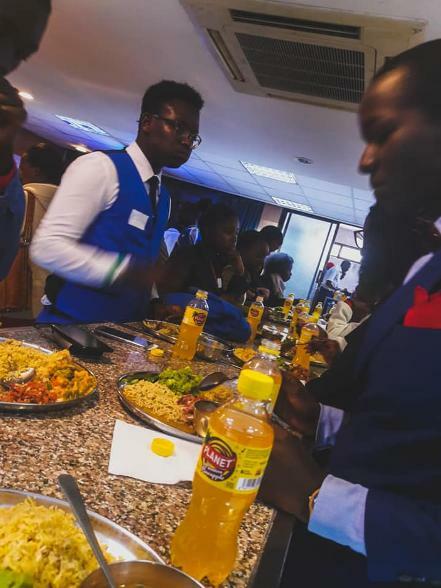 During his Gap Year mentorship with AKAD in Nairobi, he was a budding writer and blogger and won the Kenya Power Apprentice competition, #PoweringKenya Essay competition. 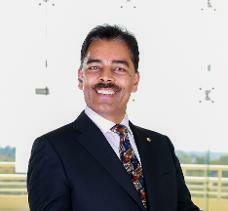 He was then rewarded with KES 50,000 and opportunity to apprentice Dr. Ben Chumo, MD & CEO Kenya Power. Ernest is an alumnus of the Alliance High School -the best performing high school in Kenya where he sat for the Kenya Certificate of Secondary Education Examinations in 2014 and was among the top students in the country, scoring straight ‘A’s in all his 8 subjects and the maximum possible 84 points. His passion for helping his community is evident in his volunteering at PACE (Promoting African Community Education) International, an organization that helps supply volunteer teachers to public primary schools with a shortage of teachers. From May to August, 2015, he taught English and Math, in Class 8 and 4 respectively, at Langata Road Primary School where he volunteered a minimum of 15 hours a week mentoring and guiding the students to achieve both academic success and maximize their potential in all aspects of their lives. Ernest was recognized by PACE for his efforts and was awarded for portraying leadership and excellence. He also volunteered in running of the newly launched Journalism club in his former primary school, St.
Georges Primary School, from May to July, 2015, every Monday afternoon, leading in the first ever publication of the school magazine, ‘The Georgian’. Scola is an Advocate of the High Court of Kenya called to the bar on 31.01,2012, a Commissioner for Oaths, a Company Secretary and a Patent Agent. 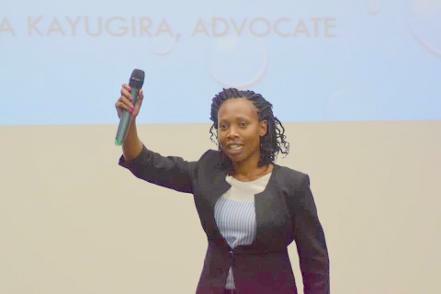 She is the founder and managing partner of the firm Munyao-Kayugira & Co., Advocates-a full service law firm based in Nairobi. 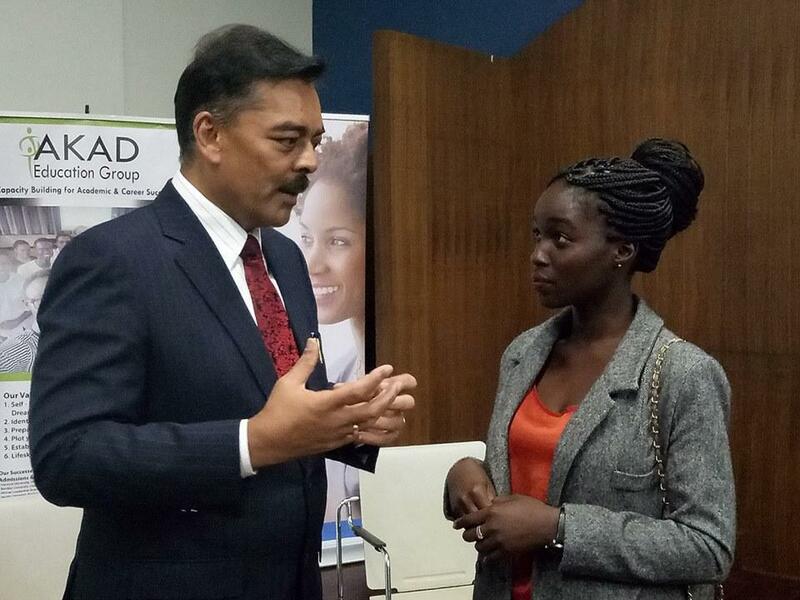 She is a member of the Law Society of Kenya and the East Africa Law Society. Scola previously worked for the firm of B M Musau & Co., Advocates, a corporate commercial firm, from 2009 to December 2012 where she gained vast experience in corporate commercial law practice, conveyancing, property law and securities. Scola Munyao is a corporate commercial and conveyancing lawyer with a wealth of expertise in the private sector practice since 2009. Some of the assignments that Scola has been involved in include legal audits, consultancies on establishment and structuring of businesses and all related issues including leasing office space, recruitment of employees, sector-specific licensing, immigration matters for foreign nationals working in Kenya and compliance and regulatory matters. She has also been involved in litigation of commercial disputes, electoral disputes as well intellectual property and arbitration proceedings. Besides her corporate commercial practice, Scola has a passion for human rights and public interest litigation. 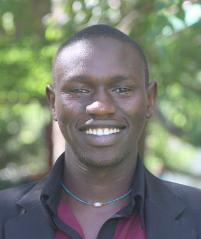 Boniface Omina is a fourth year student in Lenana School and an uprising social entrepreneur. Boniface is the Deputy Chairman of the Debate Club in school and Director of the Research Club where he works and interacts with various researchers from IPSOS. He has been awarded for his exemplary leadership as a Young Leader of the Barrack Obama Leadership Foundation. He is the Co-founder and Head of Operations of The African Footprint Initiative which uses art, music, drama, art and creative expression to address the issues that affect the youth in society. 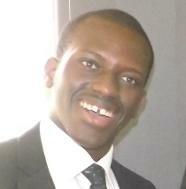 Boniface currently does market research for two growing companies and runs a YouTube channel known as BOXT Kenya. The channel provides a platform to showcase how the youth are using their initiatives, innovations and talents to impact the society positively. His leadership path was revealed to him when he joined AKAD Education Group in 2016. AKAD has been able to mold him as a transformational leader; where he identifies needed change in the society, comes up with solutions and inspires his fellow peers towards his vision. 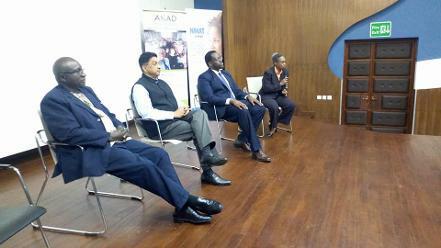 The value that AKAD has added to his life is immense and he has been able to share this on KBC TV, KBC Radio and The Standard’s Hashtag Magazine. 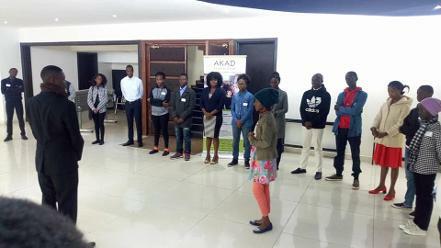 His networks with AKAD also provided Boniface with an opportunity to represent AKAD at Precious Blood High School Riruta to share on his journey with AKAD. 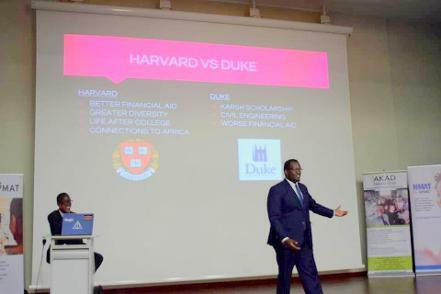 He has also spoken about the value of youth mentorship to high school students at Makini School and university students at African International University. Through AKAD he has made meaningful networks with people such as Dr.Vimal Shah and software engineers at Africa’s Talking. Boniface has interacted with leaders from across the political divide, government officials, religious leaders, ambassadors and other delegates at both the 2016 and 2017 Kenya National Prayer Breakfast. 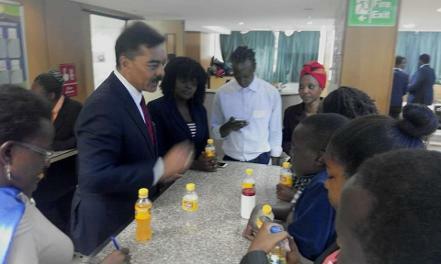 He has also visited and toured the Kenya Parliament on invitation by the former Speaker of the Senate Hon. Ekwee Ethuro. 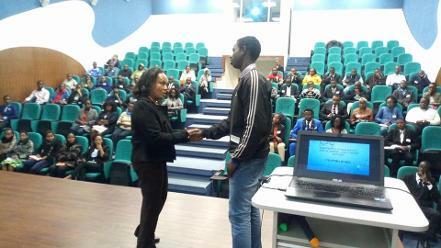 He continues to lead in AKAD mentorship as a Peer Mentor and in teambuilding activities under African Footprint. 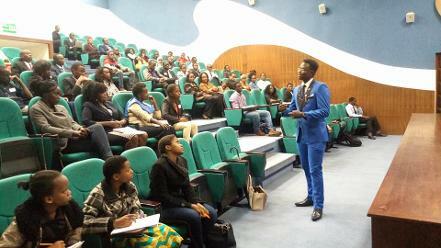 Boniface speaks to impact change and continues to give talks at AKAD events and various other leadership platforms. He has a passion for networking and this has made him an essential resource person for AKAD and his peers as he links them to networks who will help them pursue their careers effectively. On this journey he would want to pursue studies at the African Leadership Academy, whose course in African Studies would enable him to learn more about the Africa he is looking to impact. Boniface looks to pursue a career in International Relations at The African Leadership University and move on to Yale University in the future.